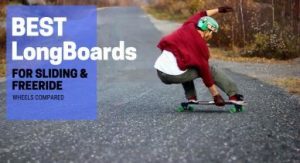 You are here: Home / Skateboards / Longboards / Volador Freeride Longboard Review – Is It the Best Freeride Longboard? 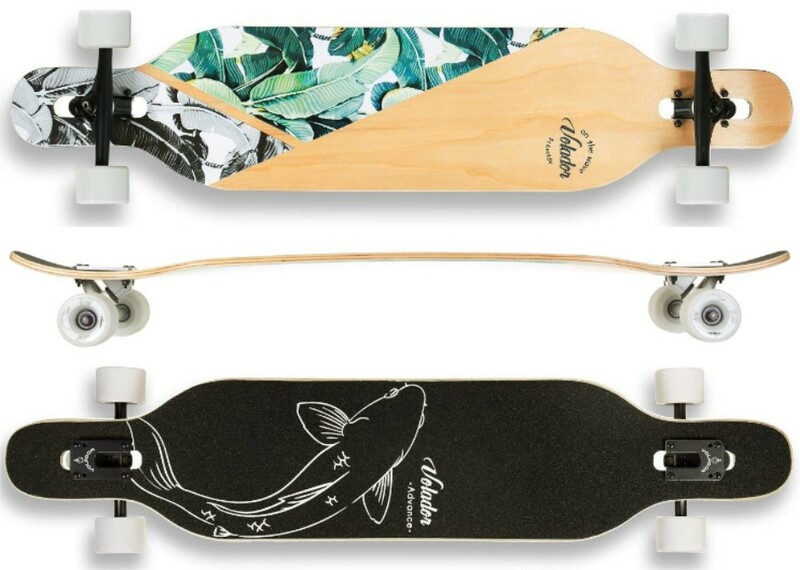 If you are looking for an ultimate package, an absolute piece of artwork then look no further Volador 42 inch freeride longboard is definitely for you. You can get one of these for just under $60, which will give you the ultimate satisfaction for the money. But is Volador worth the hype? The answer depends on what you plan on doing with the board and your skill level. So without any due let’s get into Volador 42inch freeride longboard review. 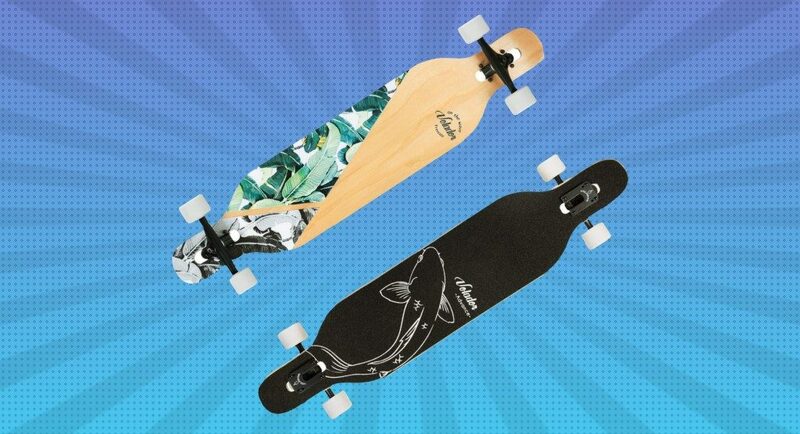 At under $60, you will get a free ride longboard, which is capable of going at high speeds giving you the confidence you need to turn during crucial conditions. So you can bet it can satisfy all your needs either its downhill riding or cruising around town. 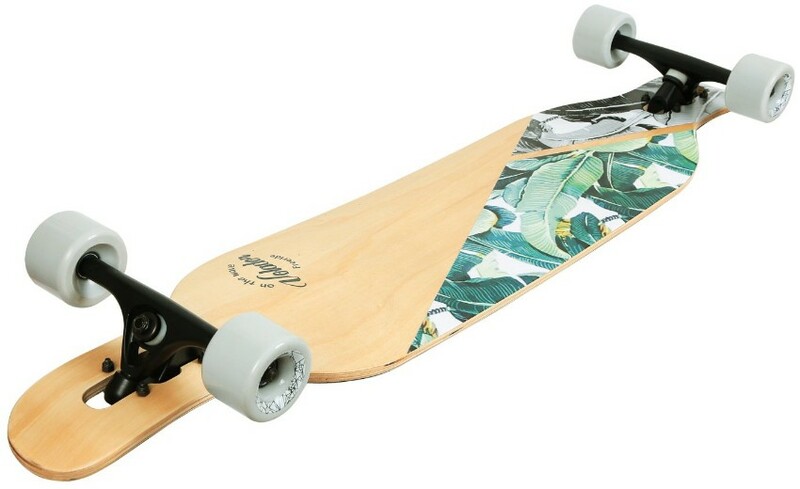 What’s even better about this longboard is that it’s a lightweight board and riding this does not require too much of your energy. It’s the ultimate work of longboard engineering, an answer for a smooth and joyful ride even at high-speed commutes. Volador is also considered one of the best longboard for cruising and a popular choice for beginners. The Volador freeride comes in two different sizes 42-inch version and 46-inch version, but today we’ll be focusing on the 42-inch version. The 42-inch freeride Volador features drop through deck configuration accompanied by 8-ply hard maple that is cold pressed into a camber concave deck. This makes this board sturdy and solid, yet maintaining the flex. The multi-ply deck provides amazing physical performance, super flexibility, shock absorbency that is unsurpassed in strength. 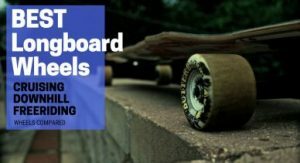 The deck also features wheel flares avoiding any wheel bite from any angle and enabling you to take extreme turns, hence enhancing the maneuverability of the board either you are cruising along the boardwalk or riding downhill. The board is mounted on 7-Inch aluminum reverse kingpin trucks. The trucks are adjustable; by default, it is adjusted at 45 degrees but can be changed to 50 degrees to enhance maneuverability. Other than that durable 70 mm x 51 mm 78A PU wheels with precision ABEC 9 bearings are used. This ensures a smooth riding experience and ultra-low bearings rolling resistance. Tip: Adjust the reverse kingpin trucks to an angle of 50 degrees. Now lubricate the bearings, and you’ll be amazed to see your board cutting into corners like a beast. For Volador quality is the first concern, and the artwork is second. So by working with pioneers of the Skate, Surf and Snow Board world and with ideas collected from designers of different cultures, Volador took care of people with different tastes. This resulted in the formation of an absolute beast that performs as good as it is aesthetically pleasing. Volador offers a wide range of graphics to choose, from strikingly vintage to avant-garde looks (12 different styles) to be exact. Other than that the graphics are really durable. We exposed it to extreme environments while testing it, so you can slide all day long without worrying about scratching your board. Coming to the most important part of how good is the riding experience? I tested the board on really rough terrains but was amazed to see how smooth and comfortable the riding experience was; the soft wheels handled it pretty well. Other than that there was no wheel bite on small pieces of street debris (pebbles, twigs, etc.). The other thing to notice was that the board was really quiet and you don’t hear wheels moving against the pavement nor the squeaking of the trucks. Being a freeride longboard the board lives up to the hype. 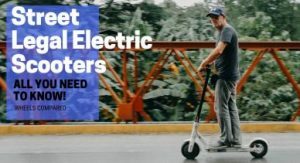 The ultra-low drop through technology, allows it to have a low center of gravity which makes it suitable for all kinds of speed rides whether you are using it in your daily commutes around town or riding downhill. You will feel glad about the versatility of the riding style brought on by Volador 7-inch casted aluminum trucks, with 45 degree and 50-degree adjustments enabling you to cruise at high speeds and carving corners like a beast. Volador’s turning accuracy and responsiveness always standbys for your riding trip. The only drawback I found in the board was that the grip tape is not that durable, so the probability of fading or wrinkling after a long period of use is pretty high. The other thing to notice was the white wheels tends to get dirty a lot, and turn greyish white. So you have to clean the wheels right after you are done riding your board. And for the grip tape, once it starts fading, you have to replace it. You can hit me up in comments sections for suggestions or contact me via email for best grip tape to upgrade your board. Well for the final thought I would highly recommend the board to anyone who is into freeriding and cruising at high speeds. 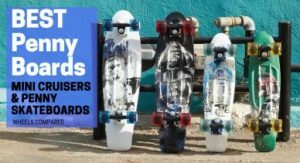 All the board hardware is forged by top-notch materials, like genuine aluminum alloy trucks, chrome steel bearings, carbon steel bolts, high rebound polyurethane wheels. You will really enjoy riding on it and exploring the board’s potential. 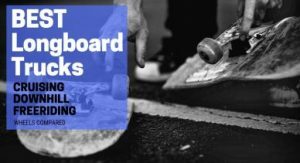 Moreover, if you are a beginner, then the board will make your longboard learning experience really easy as it ensures a really smooth ride and provides you with a tight turning radius. So if you are cruising around town, carving or riding downhill, Volador will offer you maximum stability so shake all your worries off. The deck is highly sturdy and durable while retaining its lightness (Weighs only 7.3 pounds). Board comes equipped with strong and flexible trunks for swift and sharp turns. Promotes a highly stable and smooth ride while being shock-absorbent. Available in various options and features a unique and artisan design. Value for money is just through the roof. The grip tape is prone to fading or wrinkling after a long period of use.